I was suppose to write this on Monday, but due to a major headache, I am writing this on Tuesday. What I did for Reading Week was….. nothing! I did not do much but I was recovering from my week of craziness. I had to endure 2 papers, a midterm and several lion dance performances. Doing nothing for reading week was a way to “recover” from the hectic week. Oh yea, even though it was my final Reading Week, it was also the last time my birthday was held during Reading Week. The question I would get is how old I am? Well, I don’t feel like 27 and I don’t seem to feel old. The funny thing on Monday was someone guessing my age would be 23. I do look young. Since “The Departed” won for Best Picture at The Oscars, I did get The Departed on DVD and I did not like it. Why? Because it’s a remake from Infernal Affairs, the Hong Kong movie. It was laughable in my opinion because they rehashed the scenes from the Hong Kong version. I also thought that Martin Scorsese just sat in the director’s sat and did not do much. It felt like he put his stamp on the movie. During Reading Week, I had to rewatch Infernal Affairs(I and III) in order to erase my experience from watching The Departed. I didn’t watch IA II because it is a prequel of sorts. Oh man, what a way to hit 27 today since it is my birthday. What kind of plans I will have? Not very. Tomorrow will be the day after and will meet with friends to check out the new Vietnamese Restaurant. It is the final time my birthday is held during Reading Week. 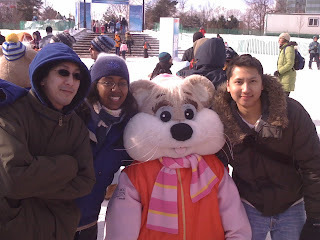 WildWorks Extra – Some Pics From Winterlude and Chinese New Year! 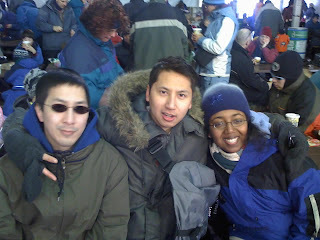 Here are a few pics from Winterlude. I went to Jacques Cartier Park in Gatineau and had fun on the slides there. Happy Chinese New Year as well. I had to endure some lion dance performances for the past week. This is my final Reading Week and also the final time it will held on my birthday. Apologies for the lack of entries due to the unusual schedule for Carleton University.